Ottimo B&B, accogliente e pulito. Rita è una padrona di casa perfetta e le sue colazioni sono favolose. We couldn't recommend Armcashel B&B more! The house is beautiful and the location is perfect - a countryside feel but right on the edge of town - and Rita really takes care of her guests, making everyone welcome and looking after each individual's needs with a warm smile and cheery disposition. We shall definitely be back! Warm welcome, room ok, excellent breakfast. Good advise for trips in that region. One of the most delightful places I've stayed in. Everything you could possibly wish for, and more, is available to make your stay a real home from home experience. Rita is such a kind and caring person, she was very concerned about my longterm health conditions, even offering advice as to how my driving position could alleviate some of my pain - you don't get that advice anywhere else thrown in with the very reasonable price of bed and breakfast! I will definitely return! Although we enjoyed most of the B&Bs at which we stayed during our two weeks in Ireland, this was the best. We booked an extra night because we found it so welcoming. A clean and pleasant B&B with a friendly approachable hostess in Rita. Made to feel welcome and facilities and breakfast were of a good standard. Nice and warm reception with tea and coffee. Spacious rooms which are comfortable and very clean. 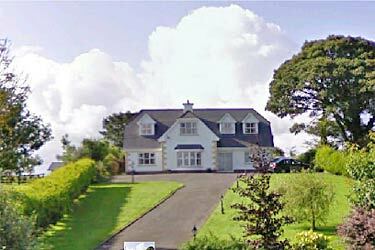 We realy enjoyed our stay at Armcashel and can only recommend this address. Could not have been better. Host Rita is the great, nothing too much trouble. Would defanatley recommend Armchashel to anyone. Hello. Sorry but I canceled my booking...I had to do because I was operated for appendix in urgency, and I canceled all my trip! My husband and I were in Roscommon for a family reunion and were delighted to find Armcashel which was convenient to being near our relatives. Mrs. Morgan was known to several of our relatives who spoke highly of her. She was very welcoming -- a great cup of tea on arrival, after a long day of driving. She was very helpful in getting in touch with our relatives and getting messages to us.